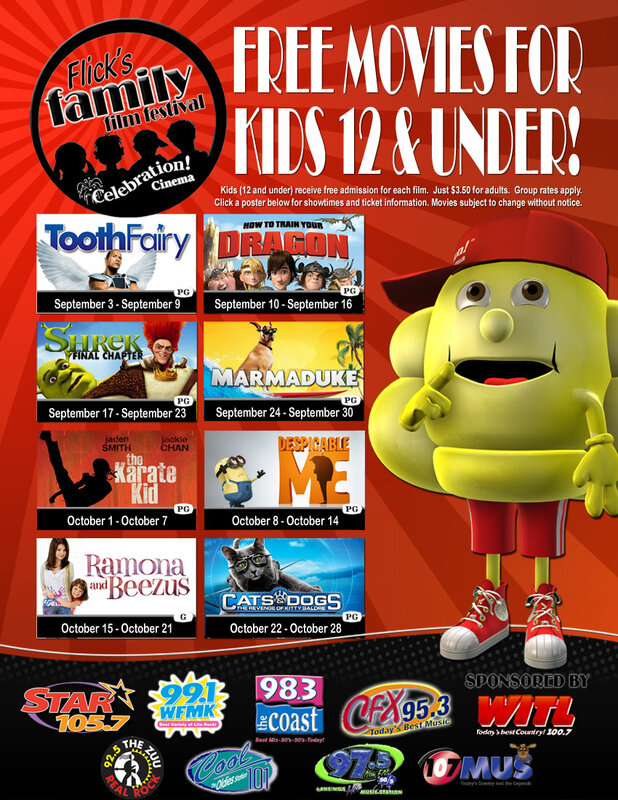 Flick's Family Film Festival is starting back up at Celebration Cinema's in Grand Rapids. 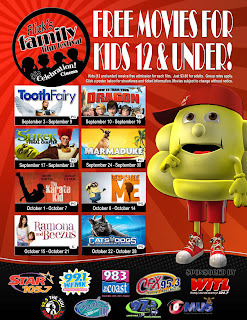 Children age 12 and under get in free. Adults are $3.50. Go HERE for a complete list of movies, times and information. 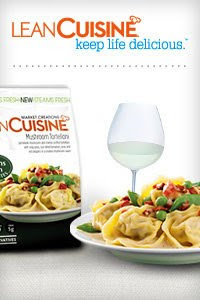 Go HERE and like Lean Cuisine on Facebook to receive a BOGO coupon for Market Creations. Fill out a simple survey HERE. You’ll receive notification with a week as to whether you were chosen to host a party. If qualified, you’ll receive access to the Playdate Parties Invitation Manager to email nine party invitations to friends and family. Once at least seven friends accept your invitation, an Earth’s Best Playdate Party Pack will be shipped to you at the address provided in your registration. If you qualify, you will receive over $90 worth of items for yourself and your guests. If you aren’t accepted, you’ll still receive some Earth’s Best coupons and be entered into a chance to win $500 worth of Earth’s Best Organic products. 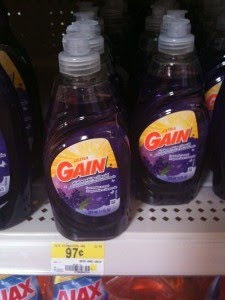 Make sure and clip the $1/1 Gain dishwashing detergent from today's PG insert. Its a great donation item! Walmart has the Gain Dishwashing Liquid 11 fl oz regularly priced at $0.97. 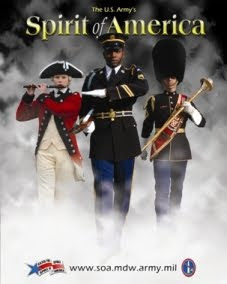 Van Andel Arena in Grand Rapids will be hosting Spirit of America. This is a FREE event on September 24 and 25, but you will need a ticket. Get more info HERE. The U.S. Army’s Spirit of America is coming to Grand Rapids for the first time ever to pay tribute to the sacrifices and triumphs of the American Soldier. Grand Rapids will have the opportunity to celebrate the spirit, strength and history of our nation with more than 300 Soldiers from the U.S. Army Military District of Washington. This FREE, live-action, patriotic show is like no other as it tells the history of America through the eyes of the American Soldier. While the show is FREE, tickets are needed and can be obtained early by contacting Van Andel Arena. Watch as Soldiers bring history to life with this year’s Spirit of America performance. Told by today’s Soldiers, Spirit of America captures the true stories of those who have answered the call to duty for our nation. During the show, Soldiers in period uniforms reenact key moments in the U.S. Army and American history. The reenactments include battle scenes with short periods of simulated gunfire, and performances by the Army’s elite ceremonial units. The show features the U.S. Army Band “Pershing’s Own” and Soldiers from the 3rd U.S. Infantry Regiment (The Old Guard), the oldest active-duty infantry unit in the Army. Elements of The Old Guard include The Old Guard Fife and Drum Corps, the Caisson Platoon, the Commander-in-Chief’s Guard, the Continental Color Guard and the U.S. Army Drill Team. You can expect THREE coupon inserts in Sunday's paper. One from SmartSource, Red Plum & P&G. Inserts and coupons do vary by region. You can find a detailed list of coupons in the inserts HERE. Walgreens finally has an official coupon policy! Yay! I'll admit that I haven't been shopping at Walgreens much because of coupon hassles. Go HERE to read the policy and print it out for reference. Check out Groupon HERE for info on a one hour relaxation, deep-tissue, or medical massage (a $60 value) at Breton Chiropractic, a chiropractic practice that offers therapeutic massage treatments from its facility at Breton Road and 32nd Street Southeast. Only $25!!! If you have done the Amazon Diaper Deal, make sure and check your email for an offer from Amazon. I just received an email saying they are offering FREE Amazon Prime until November 17 because of the diaper purchase!! Yahoo!! This deal is just getting better and better. Amazon Prime offers FREE 2 day SHIPPING on ANY order. As a thank you for your recent Diapers purchase from Amazon.com, we're giving you a free three months of Amazon Prime! Your Amazon Prime membership begins now. 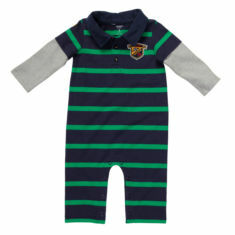 Every time you shop on Amazon.com until November 17, 2010 you'll enjoy unlimited FREE Two-Day Shipping on millions of eligible items including: diapers, wipes, formula, baby toys, clothes and gear. With your free Amazon Prime Membership, you can continue to shop on Amazon.com as you always have, but now you'll automatically enjoy fast, free shipping on eligible orders of any size. There's no obligation and no action is required to begin getting benefits. Start shopping with FREE Two-Day Shipping now. ** UPDATE** Looks like the diaper deal is now dead. **** Tried stacking codes this morning and it wouldn't work. Maybe it will work for you??? Carters Outlet in Holland will be having their warehouse sale August 27-30. The warehouse is located a few storefronts down from the outlet and will have deeply discounted clothing on sale. If you're headed past a Walgreens this week, make sure and stop in for a FREE Air Wick compact imotion spray. They are currently 50% off. Please note that the register will beep as the coupon exceeds the price. The cashier will either adjust the coupon down or ring the Airwick up for $4. Rite Aid has a great deal on Huggies diapers this week. This includes Pull ups and Pure and Natural as well. Go HERE to print a coupon for 30% off at Old Navy, Gap or Banana Republic, good 8/26-8/29 in store and outlets! Plus, 5% off your purchase total goes to The Leukemia & Lymphoma Society. You can expect one coupon inserts in Sunday's paper. One from SmartSource. Inserts and coupons do vary by region. You can find a detailed list of coupons in the inserts HERE. Today's Grand Rapids Groupon is $25 for $50 worth of apparel at Gap. Go HERE for more info. Go HERE to score a free subscription to Parenting Magazine. You will never receive a bill nor do they ask for payment information. A little late but better than never, right? 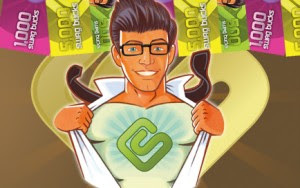 Celebration Cinema is celebrating 50,000 facebook fans and is offering a free movie TODAY(Tuesday)only. You can see "I Am Love" for free at Grand Rapids Woodland. You need to print this facebook note HERE and bring it with you to the box office. Limit one free ticket per person. "I am Love" is showing at 6pm and 8:45pm tonight at Grand Rapids Woodland. Have you done the Amazon Diaper Deal yet? If not, hop on it! 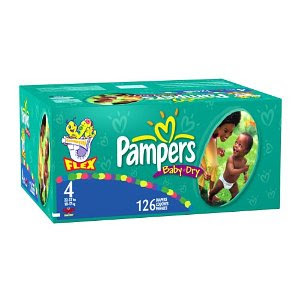 Right now you can score a big box of diapers for 70-90% off shipped right to your door from Amazon. Get all the details HERE. If you don't have the 3 codes from Parents or Parenting magazines to complete this deal, I have seen them selling on ebay for a few bucks per code. Even paying for the code makes it worth it. Also, Parents magazine is popular with Parents who have kids in or out of diapers, it doesn't hurt to ask friends, family and co workers for their copy. The codes start expiring on August 31, so you have time to hunt down a few magazines. Remember to cancel your Amazon subscribe and save subscription unless you want to keep receiving diapers at full price. What diapers did you purchase? Have they arrived yet? 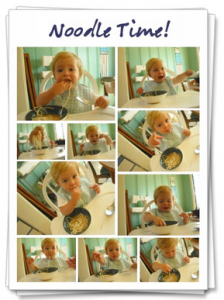 Through August 17 (tomorrow) score a free 8X10 photo collage print with FREE shipping with Snapfish. Use code GRANDSHIP at checkout. Today's Groupon Deal for Grand Rapids is a $50 gift certificate to Douglas J Salon for $25!!! You can use it for hair, skin, mani/pedi, etc and doesn't expires until Feb 2011. Go HERE to get all the details about today's groupon deal. Never heard of Groupon? Its a website featuring one local deal every day for the Grand Rapids area. In order to receive the discounted deal, enough people have to join the group to purchase the item featured that day and once the deal is "tipped" everyone gets the discounted price. Groupon offers 50% off deals for services, restaurants, experiences, etc. Have extra back to school supplies? A cabinet with extra tolietries, health and wellness items? Consider donating these items to Stuff the Bus! In partnership with the Student Advancement Foundation and Hand2Hand, the goal is to provide 2,500 backpacks to middle school students filled with health, wellness and back-to-school items. Backpacks will be distributed to several middle schools in the Grand Rapids, Hudsonville and Jenison school systems. Contributions will be accepted at 46 Fifth Third banking centers across Kent and Ottawa Counties through August 25th. Tuesday, August 17th - Fifth Third banking center at 3715 - 28th Street SE in Grand Rapids all day from 10:00am until 6:00pm. Everyone who donates this day may enter into a drawing for a $500 in prepaid VISA cards, $250 for yourself and $250 to the classroom of your choice! Wednesday, August 18th - Fifth Third Ballpark from 3:00pm until 7:00pm. Everyone who donates may register to win an overnight stay at the Amway Grand Plaza Hotel. You can find a list of Meijer sale/coupon matchups HERE and HERE. Go HERE to sign up for your free 3 month pass! You will receive your membership card within 10 days. You can expect two coupon inserts in Sunday's paper. One from SmartSource and one from Redplum. Inserts and coupons do vary by region. You can find a detailed list of coupons in the inserts HERE. Wow! This is awesome. Become a new user of Picaboo HERE and receive a free classic photo book until August 31. Use code FREEBK and you can choose from Large Classic, Classic Leather or Classic Custom book-up to 20 pages-a $39 value. Love that you have a whole month to create your book..what a great way to make a memorable wedding book, Christmas gift, vacations, etc and all you have to do is pay shipping- $8.99. !!!!! H U G E Diaper Deal !!!!!!! If you frequent other thrifty blogs, you've probably heard of this, but I wanted to pass this on just in case!!! This deal is available until 8/31, but I would jump on it NOW! Amazon.com is offering 30% off on boxed diapers(any brand-Huggies, Pampers, Luvs etc) when you sign up for "subscribe and save" option thru Amazon. 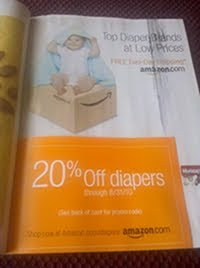 On top of that, you can use 20% off Amazon.com diaper codes found in the August and Septembers issues of Parents or Parenting magazines and stack the codes to get diapers up to 80%off or more shipped to your house. There are 3 20% off coupon codes in the magazines in addition to the 30% off Amazon.com coupon. I just purchased 204 Luvs diapers for $9.24 shipped to my front door. (I only had 2 out of the 3 codes) INSANE! -Choose the diapers you want. -Choose the “Subscribe and Save” option on the top right hand side of the page. By doing this, you will save an additional 30% off your diaper order and receive FREE shipping. You can cancel at any time. 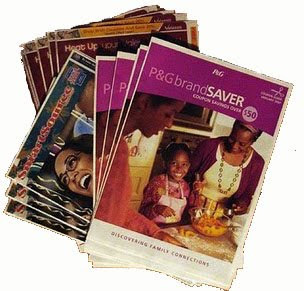 -Then find your August 2010 Parents Magazine and the card insert with the unique code (it will start with an “A”) and add this code – it should take 20% off. 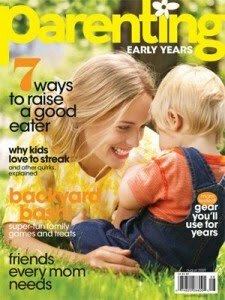 -Then find your August 2010 Parenting Magazine or Parenting: The Early Years and card insert with the unique code (it will start with an “X”) and add this code – it should take another 20% off. -Then find your September 2010 Parents Magazine and card insert with the unique code (it will start with an “W”) and add this code – it should take another 20% off. 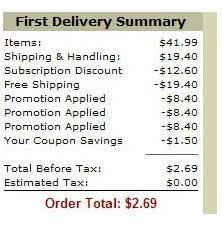 Remember to cancel subscribe and save unless you want to continue receiving diapers at full price. Just a heads up that we will be heading out for a much needed family getaway for the next few days. I'll be unplugged, so deals will not be posted. 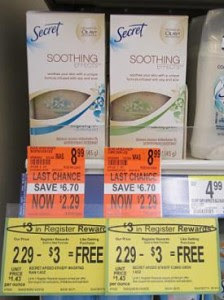 Walgreens has Secret Soothing Effect deodorant on clearance for $2.29, regular $8.99. This deal does roll, meaning you can use the RR to purchase the deodorant again! Just be sure to throw in $.71 worth of something so you can use the $3 RR. 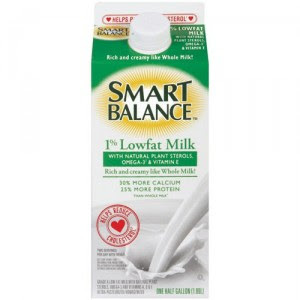 If you are doing the FREE Smart Balance milk deal at Meijer, you can print out two additional $1/1 coupons HERE using zip code 62946 in addition to all the other coupons in inserts. We bought and tried the milk today. Its really good. Plus the expiration date isn't until Sept 25! 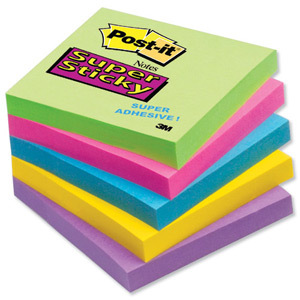 Post It Notes are $1 at Target this week. Use $1/1 coupon HERE to score them for free!